BPAY is one of the most popular bill payment services in Australia. But what if you could further simplify the payment process by removing the transaction altogether? We’ve outlined the steps to getting this feature set up in KeyPay. Follow this guide and rest assured that your bills are paid as part of the pay run process! 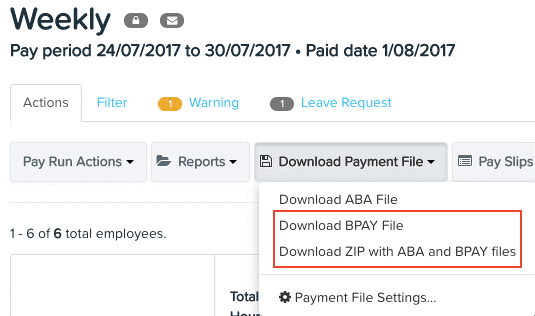 Step 1: The employer sets up their BPAY file according to their bank’s requirements within the “Payment Files” settings (previously known as “ABA Settings”). Currently, only the following banks are supported: Commonwealth Bank, Westpac, National Australia Bank and ANZ. Step 2: Employees can add BPAY accounts to their bank account set up. Alternatively, full access users can do this on the employee’s behalf. Step 3: Once the pay run is finalised, generate the BPAY file to then import via your corporate banking. 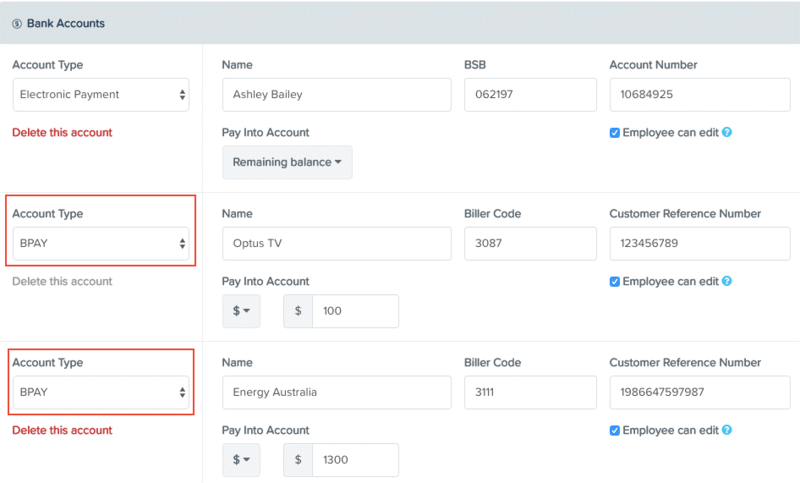 When setting up a recurring deduction or processing a deduction within a pay run, it is also possible to choose a BPAY account as the payment type for the deduction. Why is this feature amazing? have salary sacrifice arrangements (such as novated leases) that they want to pay via BPAY. Your employees will love you for simplifying the annoying process of paying bills!